Given takes halfway lead after help from his pro! I am delighted to see this type of image for any of our members but it's always great when it happens straight after a lesson with one of our professionals. Nigel and I had a session on the short game last week which was causing all sorts of trouble for him. Instant results came from the lesson and clearly played their part in his great score. Nigel is also using a new set of PING G custom fitted irons from his professional. Also in the JCHeys Rd1 we had a hole in one on the first. Steve Billington claimed that prize and he has been working hard with Guru Gary on his game. Rory McIlroy joins TaylorMade on his $100 million deal! TaylorMade have got their man! Rory McIlroy has signed a long term contract to play TaylorMade clubs, staff bag and golf ball. After Nike exited the equipment business last August, Rory McIlroy made it clear he was going to take his time before signing a new equipment deal. Nine months later, and after extensive testing of virtually every major brand while exploring offers from multiple companies, McIlroy has entered into a "long-term" contract with TaylorMade. The pact, announced on Tuesday, is for the full bag plus the golf ball, and McIlroy will have the company's staff bag as well. His apparel and footwear will remain Nike, as he recently signed a contract extension on that front. If you would like to test any of the TaylorMade products, we have demos available or book a fitting and let's see some data from the launch monitor. The course is looking superb just now and the golfers are enjoying fantastic playing conditions. Run Run Run went the golf ball……. It has been a long time since we have seen the course as firm as it is just now. We are watering the greens and in some cases will give them two bouts of water per night. Last week I talked about the problems golfers are having in stopping the shots on the green. In conditions like this, use a softer golf ball with higher spin characteristics and benefit from the balls performance around the green. You should also make sure your grooves are clean as this will make a difference. And, you should consider looking at the groove formation on modern wedges. These groove designs are as close to the legal limits and will add more spin to you ball, helping you stop the ball quicker on the green. Sharpening the groove edge and widening the groove to the legal limits make a big difference. Do you fancy learning a bit more about this? - Pop by the pro shop and speak with one of the team. We have demo wedges we can let you take on the course. Whilst we talk wedges, if you struggle with your chipping then copy the positions you see the golfer using at set up below. 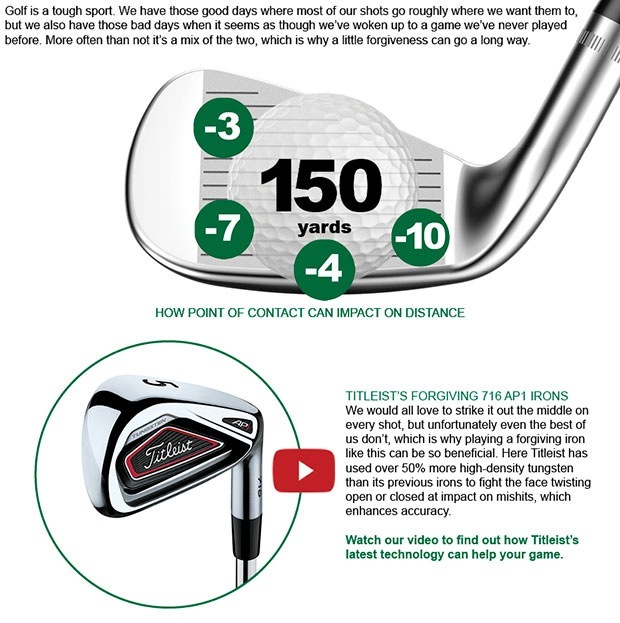 Closer is better when chipping! With video analysis the statement "a picture tells a 1000 words" is so correct. We have had a great week working with our members and visitors to improve their game. Here are some images of Connor's lesson where the takeaway change made a huge difference to his swing. Connor had been swinging the club too flat / under the plane and this caused a mixed bag of shots like hitting the ground early, pushing and hooking shots. Well done Connor, keep up the good work. We now offer a FREE umbrella holder with every Motocaddy electric trolley. 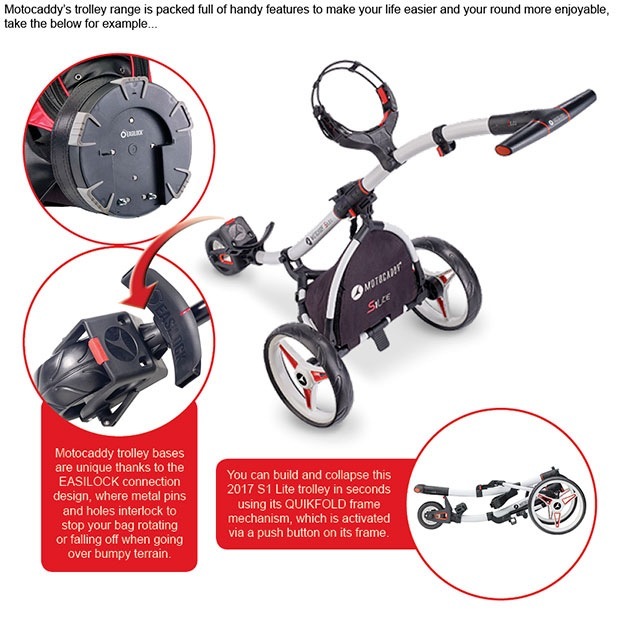 Motocaddy is still my No1 selling electric trolley and 9 out of 10 of you chose lithium batteries. 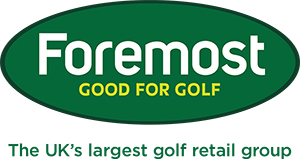 Click here to see the full Motocaddy range of products available from your pro. And don't forget our battery trade in offer that is currently running We will give £25 for your old battery, no matter what condition it is in. Don't throw it away - get £25 for it instead! Odyssey are set to celebrate a very special Odyssey Month of May, with exclusive competitions, tips, videos and gear stories over the next four weeks. Throughout the month we will be giving you putting drills, Odyssey facts, reviews on the putters demonstrating the benefits provided by different Odyssey putter head shapes and exciting competitions for your chance to get your hands on the latest models. On Tour, all Callaway Tour players will be using a unique Odyssey 'Innovate or Die' bag as well as one of the model designs by the #1 Putter in Golf. This Limited Edition bag is available in your pro shop NOW! The chance to win dozens of Odyssey putters via social media competitions - just follow @OdysseyEurope for your chance to get involved, and like Odyssey Europe on Facebook.